Our multidisciplinary team members offers a complete range of dental care services, including dentistry, surgery and dental aesthetics. Always on the lookout for latest, ahead-of-the-curve dental technologies, DENTISTES PRISMA’s experts are first and foremost consultants dedicated to the health and well-being of their patients. We offer personalized dental advice and care, fostering a human approach that is second to none. What’s more: our practice focuses on preventing and maintaining the integrity of our patients’ dentition and improve their overall health. 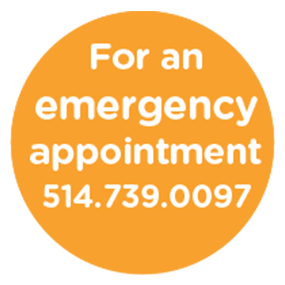 Are you anxious or concerned about dental care or dental surgery? Do you have a low threshold for pain? Conscious sedation with nitrous oxide could be an effective way to help you relax. This safe gas is quickly eliminated from the body, allowing you to resume your activities right after your appointment.